The 2012 Carnival has already kicked off in El Callao with beauty contests and calypso competitions but the big processions start Saturday 18 February - Tuesday 21 February, and end on Ash Wednesday with the start of Lent. Venezuela is a country of countless parties, fiestas and dances, from individual celebrations of local patron saints to the gaitas and parrandas of Zulia state at Christmas, the Dancing Devils of Yare and Chuao during the Feast of Corpus Christi and the African drum dancing in honour of Saint John the Baptist on 24 June. One small town that beats them all is El Callao, a centre for gold mining in Bolivar State that comes alive every year for four days during carnival to the vibrant sounds of calypso and soca and the copious consumption of rum, beer and aguardiente (fire water). With over a 150 years of history, the El Callao carnival celebrates cultural traditions brought to Venezuela by French and English-speaking Caribbeans - including many Trinidadians - drawn to El Callao by a gold rush in 1853 that saw the town become the leading gold producer in the world. Gold production peaked by about 1885 and by the end of the century the big seams were played out and the town slipped back into obscurity. Nowadays, it's hard to imagine this tiny, ramshackle town of tin roofs and small gold shops was once the source of so much wealth, but during carnival the population of 39,000 swells to four times that number and you get a sense of what the glory days were like. The carnival in El Callao has a colourful cast of characters who accompany the comparsas (floats with a sound system and a themed crowd of dancers). Las Madamas are women wearing colourful 19th century dresses and turbans from the French Caribbean. The Medio Pintos are boys and men covered in tar or paint or any other black sludgy stuff they can get their hands on. The idea is that you give them a coin called a "medio" (1 Bolivar Fuerte will do these days) or they paint you with sludge and comes from the phrase "medio o te pinto". The Diablos are men and boys in spiky devil masks who keep the crowds back from the comparsas along the carnival route by using their short latigos (whips). 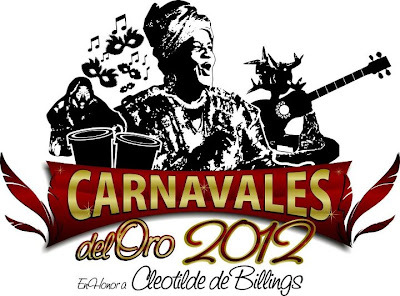 This year the Callao carnival is dedicated to Cleotilde Stapleton de Billings (1911-2009), a singer and famous madama, who did so much to popularize the folk culture and calypso traditions of El Callao with her musical group Yuruari. The El Callao carnival of 2012 will be celebrated from 18-21 February.